Here is my Year in Instagram. 508 Images, I believe, and over 9 minutes of wonderful filtered goodness. 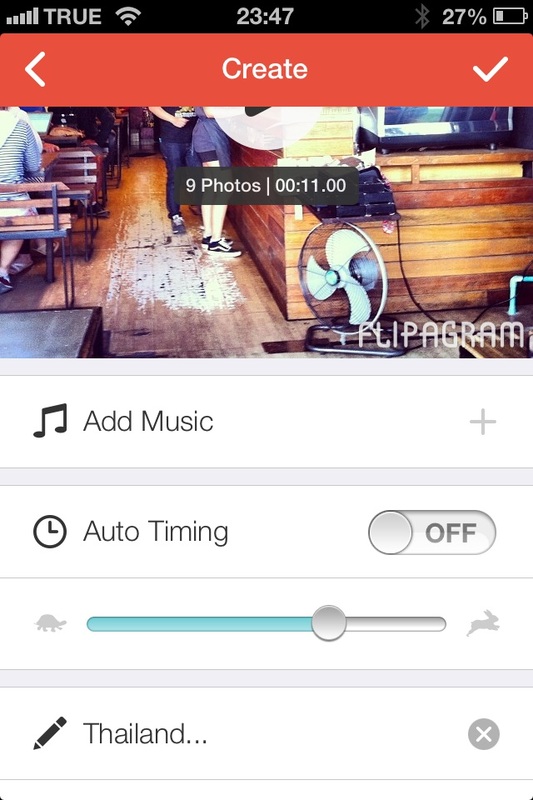 Just in time for the new year I’ve come across a neat little app for the iphone called Flipagram. Essentially it collects all your photographs and allows you to organise them into a very simple slideshow, which you can then share across your various social networks, or whatever. I had been looking for something like this to share my past year of photographs taken on Instagram, an app I’ve a lot of time for and one I enjoy not only posting but also looking at other people’s photographs. Of course it has it’s critics, but it also has its avid users (such as myself) who have taken amatuer mobile photography to a different level. For me, I use it as a photo-blogging or daily-photo tool (not that I post every day), as well as a convenient way of sharing photographs across multiple platforms. I’ve spoken about Instagram a bit before so I’ll try and break new ground here. What I’ve managed, eventually it has to be said, is to put together a slideshow of every instagram shot I’ve taken over the past twelve months, totalling over 500. I say eventually because this only came about after a number of mishaps which can probably be blamed on my slowly aging iphone 4, my dodgy internet connection, and faults with the app itself. I know there are faults because the person who made me wise to this app also expressed frustration with the actual processing. It turns out that you can’t leave the app during the creating process, so I had to keep tapping the screen and to watch the percentage dial gradually progress towards 100%. On more than one occasion my vigilance failed me and it was back to the start with my slideshow creation game, and by back to the start I mean all the way back. That being said, both of us have created an almost 10 minute long slideshow with over 500 hundred shots, so perhaps it isn’t easy to actually develop an app capable of doing this fluidly. I think sometimes with the over propenderence of new tech and apps we just expect outright for things to work to our incredibily far reaching and rigid expectations. Nothing is ever really perfect, is it? But the more we see new things our expectations seem to spiral further beyond a reasonable level. I could go about doing it the way I was actually considering doing which is to go through my folders on my computer and copy and paste all my backed-up instagram shots from the past twelve months. This would not only be frustrating, but undoubtedly one hundred times more tedious and prone to mistakes than this newer means of accomplishing the task at hand. Equally handy is the ability to go through Facebook albums to create a similar experience, and it is something I might do next. In the end the final product came out rather well, and if I had some nice long piano concertos uploaded onto my iphone it would have been ideal. As it turned out I had no music at all. So once the slideshow was finished processing I had to save it onto dropbox, and from my laptop upload it to youtube where I used some of their ad supported music – the only free music they had was the Funeral March, which was not what I was looking for. Do you use Instagram? Why not make your own Year in Instagram and share a link in the comments. Also, a big happy new year to all my readers! This entry was tagged 2013, 2014, a year of photos, app, Asia, Blogging, Conor O'Reilly, experience, filters, flipagram, images, instagram, iphone 4, life, living, mobile, mobile app, mobile photography, photo blogging, Photographs, Photography, review, slideshow, usage problems, year. Bookmark the permalink.